Area rugs tend to collect a lot of dirt. Most of the dirt is insoluble so it needs to be removed before wet cleaning. Rugs come in different materials too, which sometimes necessitates different cleaning approaches. Otherwise, the rug might be damaged, shortening its life-cycle. You need to consider a few important things when hiring experts for area rug cleaning in Danville, CA in order to get the best outcome. 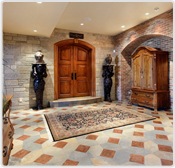 The expert you choose should be conversant with different area rug cleaning approaches. Using different approaches will allow thorough cleaning and maintain the rug in its original condition. Some important cleaning approaches include vacuuming which helps remove soil and other loose debris from the rug. Another important approach is soil suspension. In this case, the right pre-treatment is applied to help loosen any materials stuck on the area rug fibers without tearing them. After this, the rug can be agitated, or steam cleaned to remove the dirt. The expert should also be able to groom and dry the rug properly. Grooming is important because it helps eliminate matting, which can ruin the visual appeal of your rugs once cleaning is done. Proper drying is also an integral part of proper area rug cleaning. Normally, rugs should dry properly within twenty-four hours in optimum humidity and temperatures. If the need arises, the expert can use air movers to speed up the process. It would be nice to work with a service provider that uses biodegradable detergents. Use of closed loop cleaning machines is also a good idea because they reduce excessive waste. Such steps show that the company is conscious about environmental friendly approaches when providing area rug cleaning services in Danville, CA. This can be an indicator that they will take good care of your rugs. By considering these tips, you will be able to get the best service.